Loddon and District Local History Group was formally constituted in February 2003 with the stated aim of "the advancement of education of the public concerning the local history of Loddon, Norfolk and the surrounding area"... and that is as formal as it gets. We do not have a membership list, so anyone is welcome to turn up to our monthly meetings where we usually have a speaker or slide show. Meetings are held in the Lecture Hall, St John's Church, George Lane, on the third Wednesday of each month at 1.30pm. They currently cost just £3 which includes the opportunity to chat over tea and biscuits. A programme of future speakers can be seen at the bottom of this page. Our meetings are open to all. Once a year we organize an outing to a place of interest. Another annual activity is our survey of a local churchyard to record the Memorial Inscriptions and location of gravestones. The results are printed and placed in the churches, and are also available via this website. 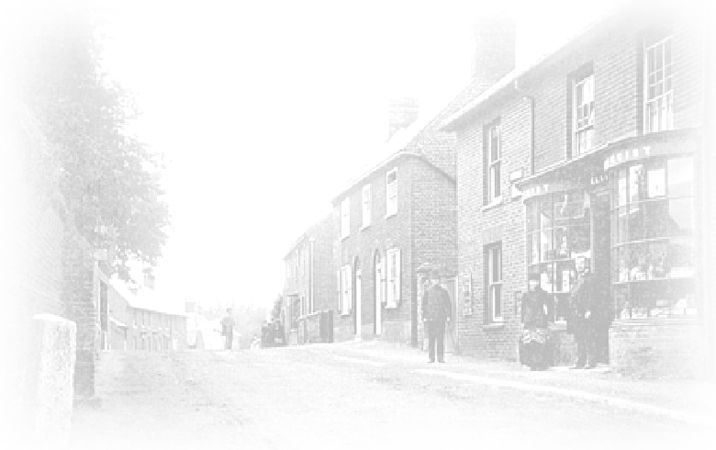 To contact us, email - loddon.history@hotmail.co.uk We are pleased to answer queries about the local area, if we can, but cannot undertake detailed family history research. Feb 20th AGM and Parish Study update. March 20th Megan Dennis Letters from the Workhouse. The samplers of Lorina Bulwer, inmate of the Female Lunatic Ward at Great Yarmouth Workhouse. Featured on the Antiques Roadshow and on display at Gressenhall Museum of Norfolk Life, these amazing textiles reveal details of Lorina���s life in the workhouse. April 17th History of The Norfolk Wildlife Trust. May 15th Dr Joy Hawkins Pockets Full of Posies? Surviving the Black Death the Medieval Way. Medieval men and women had varied explanations for the causes of plague, from astrology to sin. This talk will consider fourteenth and fifteenth century understandings of pestilence as well as the methods people used to protect themselves against such a widespread, devastating epidemic. July 17th Phyllida Scrivens Escaping Hitler: A Jewish Boy's Quest for Freedom and His Future The remarkable story of Norwich resident Joe Stirling. Phyllida will be bringing signed copies of her book on Joe's life with her. August 21st Alex Fisher EVENING MEETING. 7.30pm. Must Farm; Britain's Bronze Age Pompeii. The archaeological investigation onto an exceptionally well preserved settlement dating to the Late Bronze Age. Alex took part in the excavation and will tell us what the project has disclosed about life 1000-800BC. September 18th Robert Halliday The Tithe Wars in 1930's East Anglia. The story of a rural struggle that proved an unsurmountable burden for farmers. Some of their protests proved highly inventive with some farms undergoing virtual siege from tithe owners. Robert is a historian and lecturer, and has published several books on local history. October 16th Pip Wright The Class of '63. The class of '63 was composed of just eight poor boys who, in the year of 1763, came together to be taught at the Earl Stonham Charity School by the master, Thomas Warren. It would be a defining moment in all their lives. Using a wealth of archived material, local historian, Pip Wright, reveals their story. Pip will bring some of his many books on local history with him. November 20th Dr Victor Morgan from the UEA, for The Norfolk Archive and Heritage Development Foundation. The Guild Feast in Norwich, c.1560-1730 or How They Ate Their Values - and you may Eat Your Hat! December 18th Our Christmas 'Do'. The Blickling Interpretation Group will perform The End of an Era. In the early 1940s Lord Lothian returned to Blickling Hall to find his home had been taken over by the RAF. Meet the characters and hear their stories. Jan 15th 2020 Dr Mary Fewster A Moving story. Transport and Travel in East Anglia.